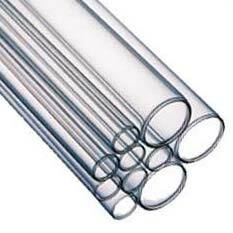 Our designing of Glass Tubes using contemporary techniques and superior raw materials makes it ideal for use in industries such as chemical, semiconductor, lighting, etc. Not only these are known for their exceptional stability and excellent mechanical features but they are much admired for their flawless finish, high resistance to temperature and good thermal stability. It effectively safeguards from radiations causing injury.